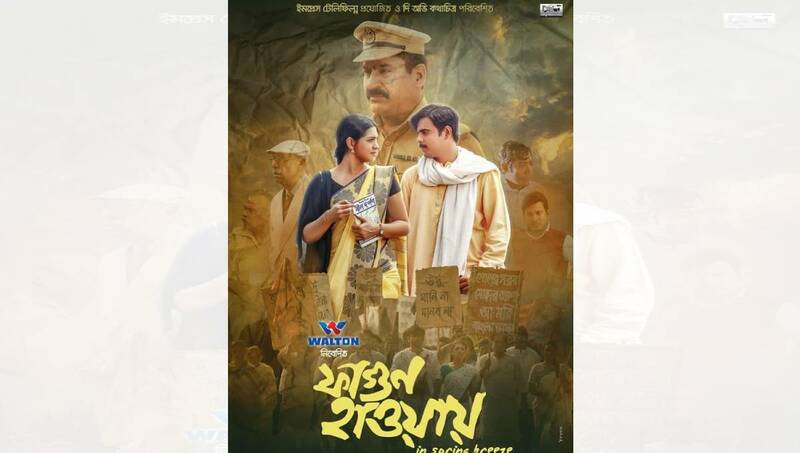 Dhaka, Feb 11 : Actor-turned-director Tauquir Ahmed’s new film ‘Fagun Haway – In spring Breeze’, based on the 1952 Language Movement, will arrive in movie theatres on February 15. It is being distributed by Ovi Kothachitra. The film’s poster was opened by Bipasha Hayat and Amin Khan in presence of all artists of the movie. The trailer and songs were released last year. Actress Nusrat Imrose Tisha plays the lead role with newcomer Siam. Renowned actors Abul Hayat, Fazlur Rahman Babu, Shahidul Alam Sachchu, Roonak Hasan, Faruque Ahmed, Saju Khadem and Shahadat Hossain are also part of the movie. The film is produced by Impress Telefilm and inspired by Tito Rahman’s ‘Bau Kotha Kao’ short story based on the Language Movement. Tauquir made his directorial debut with ‘Joyjatra’, a 2004 film based on the Liberation War.